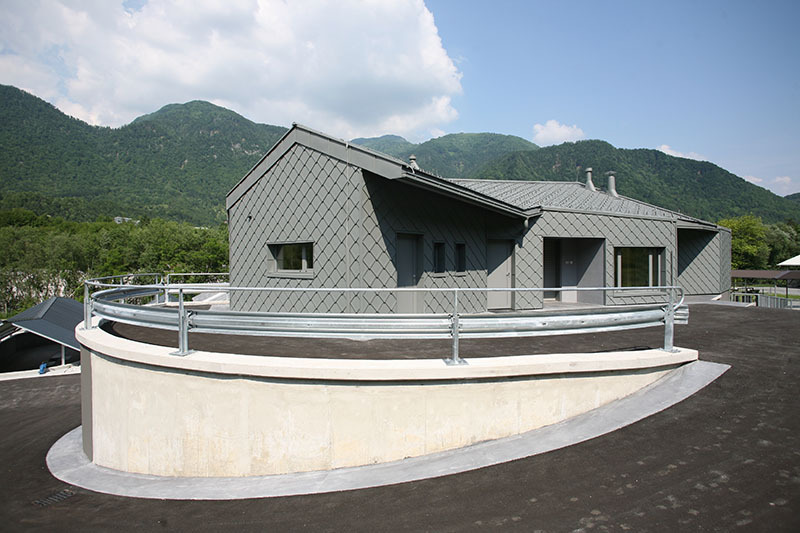 A new fish farm with fish-growing pools and a servicing facility is located on the right bank of the Tolminka River, closely at the lagoon’s cleaning plant in front of the confluence of the Tolminka and the Soča rivers. A specific configuration of the terrain particularly opens a bird’s eye view over the facility and the pools because the access road follows an elevated natural plateau wedged between said rivers. 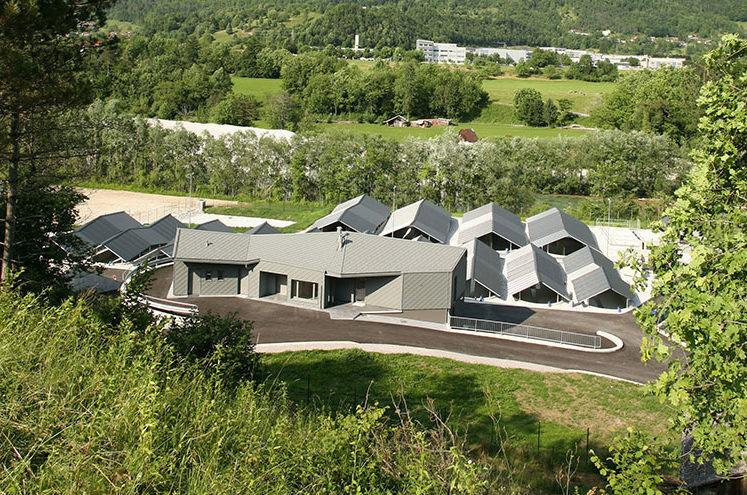 This natural feature called for a volume-configured floor plan of the facility which, when viewed from above, resembles a fish, while repetition of offset roofs reminds one of water waves. 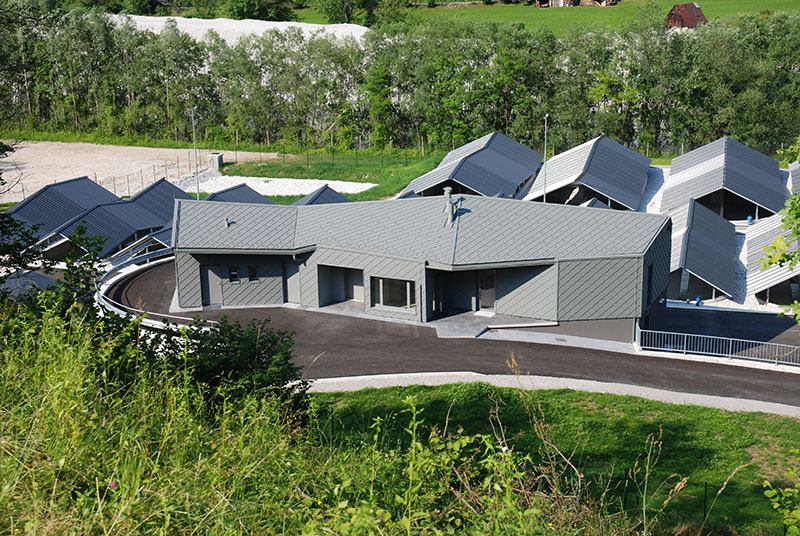 14 covered overflow pools are dedicated to breeding the Soča trout, the grayling and the rainbow trout. The servicing/processing facility includes areas for the storage of food, servicing and office rooms for staff, and rooms for fish processing. 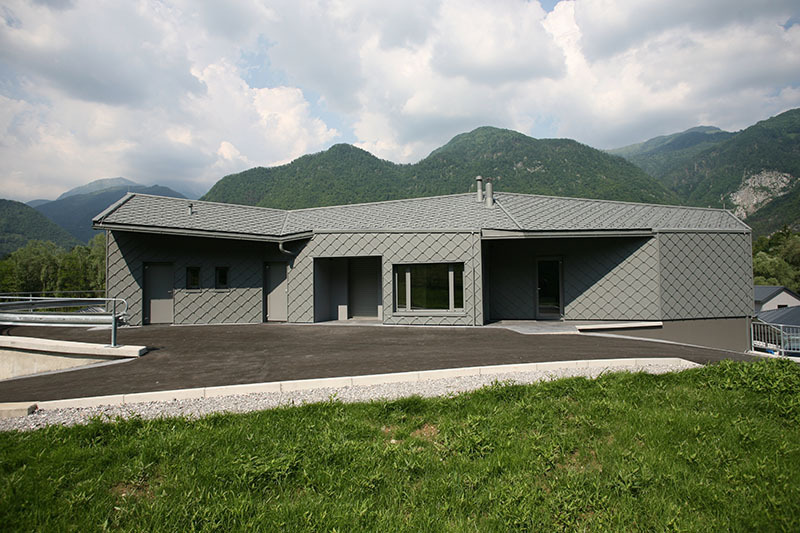 The design of the construction is a classic design, a combination of reinforced-concrete walls and a timber gabled roof truss above a geometrically irregular oblong floor plan. 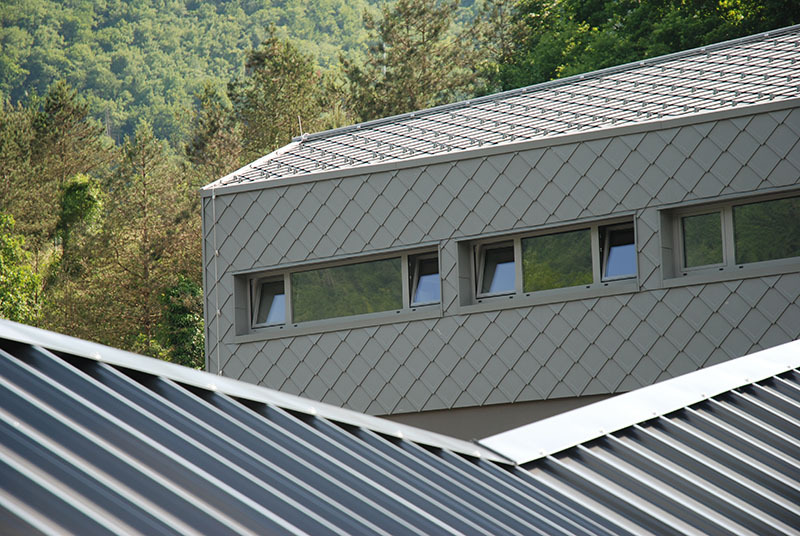 The roof and façade cladding of the storey follow the design of the flat roof tile of aluminium grey sheet metal that provides adequate resistance to atmospheric conditions and at the same time resembles fish scales. 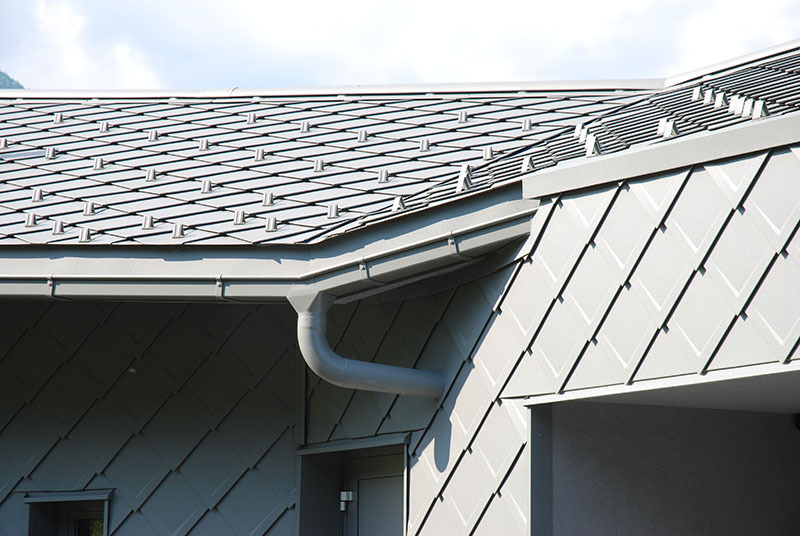 This is an energy-saving facility.